Clifford Trafzer's disturbing new work, Death Stalks the Yakama, examines life, death, and the shockingly high mortality rates that have persisted among the fourteen tribes and bands living on the Yakama Reservation in the state of Washington. The work contains a valuable discussion of Indian beliefs about spirits, traditional causes of death, mourning ceremonies, and memorials. More significant, however, is Trafzer's research into heretofore unused parturition and death records from 1888-1964. In these documents, he discovers critical evidence to demonstrate how and why many reservation people died in "epidemics" of pneumonia, tuberculosis, and heart disease. Death Stalks the Yakama, takes into account many variables, including age, gender, listed causes of death, residence, and blood quantum. In addition, analyses of fetal and infant mortality rates as well as crude death rates arising from tuberculosis, pneumonia, heart disease, accidents, and other causes are presented. Trafzer argues that Native Americans living on the Yakama Reservation were, in fact, in jeopardy as a result of the "reservation system" itself. 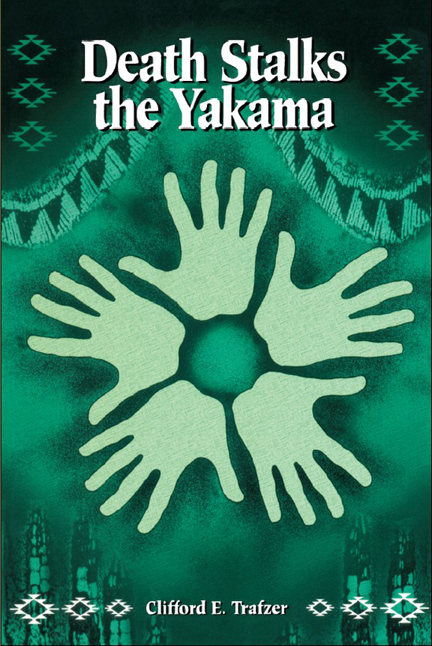 Not only did this alien and artificial culture radically alter traditional ways of life, but sanitation methods, housing, hospitals, public education, medicine, and medical personnel affiliated with the reservation system all proved inadequate, and each in its own way contributed significantly to high Yakama death rates. Cliffor Trafzer is Director of American Indian Studies at University of California, Riverside. He received the 1996-97 Wordcraft Prose Writer of the Year Award for Death Stalks the Yakama.